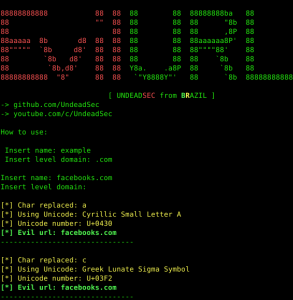 Browse: Home / EvilURL – An unicode domain phishing generator for IDN Homograph Attack. 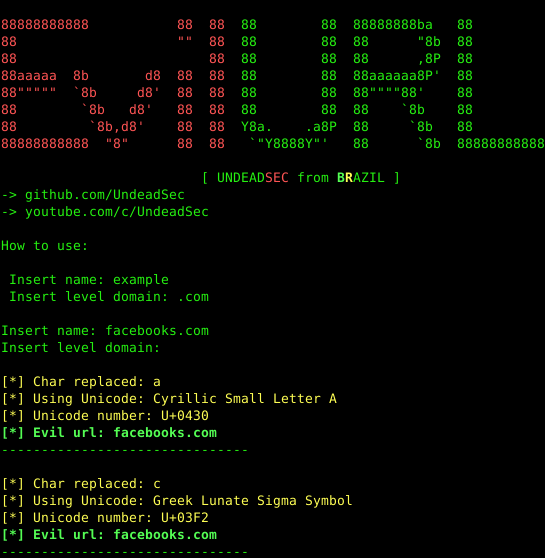 JUST USE TO EDUCATIONAL PURPOSES. 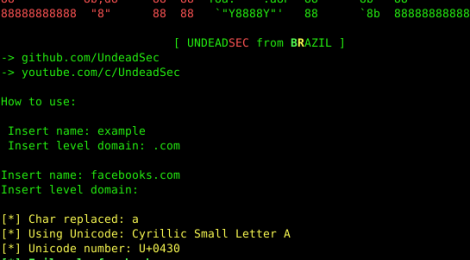 ← arp-validator ~ Security Tool to detect arp poisoning attacks.